This is a compulsory multiple choice question exam for all students of class IX and XI affiliated with CBSE. PSA will be a part of formative assessment (FA) which accounts for 10% of the total assessment of class IX students. This is not a new test, rather, it is meant to “replace the already existing pen-paper test in the FA.” (Source: www.icbse.com/psa). The result of the PSA test will also be included in the Continuous & Comprehensive Evaluation (CCE) system of class X in its formative assessment. That is, the score of the PSA will be reflected in one Language (English or Hindi), Mathematics, Science, and Social Science for students appearing for class IX exams in the session 2012-13 and the same score will be reflected in FA 4 for students appearing for class X exams in the session 2013-14. Since there is no CCE for class XII students, therefore, students of class XI will get a certificate with the score obtained in the PSA test. For the session of 2012-13, the marks obtained by students in class IX PSA exam will be carried forward to Class X. Therefore, in case if students wish to improve their PSA score, then class X students from the 2013-14 session can sit with students of class IX and re appear for the test. The best score will be reflected in the final certificate of the student. What is the syllabus for PSA? CBSE has not declared any specific syllabus for the PSA exam. However, they have broadly outlined the key domains on which the questions will be based. The questions will not be from any text book, rather, it will focus on assessing a child’s Life Skills related to Quantitative Reasoning, Qualitative Reasoning, and Language Conventions. For students of class XI, the PSA question paper will be common, irrespective of which stream they belong to. What will be the format for PSA test? There will be 60 multiple choice questions (MCQ) with a total weightage of 90 marks. Quantitative Reasoning will have 18 questions in total, focusing on reasoning related to Humanities, Arts & Social Sciences. Of these 18 questions, 6 will be stand alone MCQs, 6 will be from passage 1 MCQ, and 6 will be from passage 2 MCQ. Qualitative Reasoning will have 18 questions which will focus on reasoning found in Mathematics & Science. Of these 18 questions, 10 will be stand alone MCQs, 4 will be from passage 1 MCQ, and 4 will be from passage 2 MCQs. Language Convention will have 24 questions in total focusing on different aspects of written communication, that is, grammar, vocabulary, etc. Of these 24 questions, there will be 8 MCQs each for grammar and usage, vocabulary in context, and passage completion. What is the purpose of the PSA Test? Through the PSA test, CBSE aims to reduce the pressure on the overall assessment of a child from purely academic grounds and shift the focus more towards formative assessment. 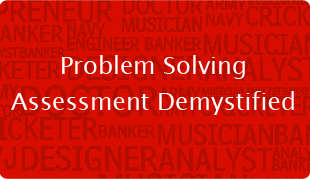 Also, since the format of this test is based on multiple choice questions with completely objective answers, therefore, it will also help students get an idea of how to deal with various other competitive examinations. The main factor that CBSE aims to assess through the PSA exam is the life skills, that is, those skills which are acquired through teaching or direct experience, and are used in daily life to deal with and manage various personal problems and questions. There is no defined list of these “Life Skills” and they can be said to include psychosocial skills, interpersonal skills, thinking skills, etc. World Health Organization (WHO) has listed down ten core Life Skills which are as follows – Self Awareness, Empathy, Critical Thinking, Creative Thinking, Decision Making, Problem Solving, Effective Communication, Interpersonal Relationships, Coping with Stress, and Coping with Emotions. Start with a fresh mind. Since there are going to be 60 questions which students will have to cover up in a span of 90 minutes, therefore, the trick is to be stress free, otherwise the mind can get clogged and one will not be able to focus on the questions. Students must remember not to take challenge for solving each question, rather, start with questions which you already know. Each section is important. If one takes too much time and takes it as a personal challenge to solve each question, then before you know time will be over and majority of the questions would remain unresolved. The key is to reason out and reach the approximate answer.